We’re starting off the new year with another big announcement: HootSuite is happy to announce the HootSuite Affiliate Program. This new program allows HootSuite premium plan holders to earn generous commissions by referring friends, colleagues, and clients to HootSuite Pro and Enterprise plans as well as HootSuite University. Many of you Hoot-fans already enthusiastically share HootSuite with your audiences… and starting today, Pro or Enterprise plan holders can receive 50% of the first payment amount received from all new customers referred via their channels. Already Pro? Great! Activate your Affiliate membership and start accumulating credits right away. Not a HootSuite Pro yet?Sign up for a free 30 day trial and see how the advanced features can help your social media efforts while also jump-starting your affiliate earnings. You can earn commissions on sign-ups for all of the HootSuite premium products – including Basic Plan referrals which upgrade within 60 days of clicking your affiliate link. 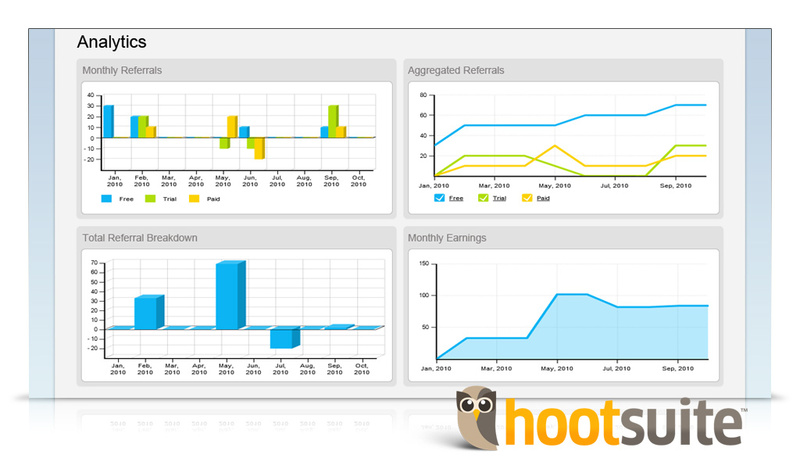 The HootSuite Affiliate Program allows you to create multiple campaigns and learn from all the related stats. When using the dynamic affiliate dashboard, participants can see an overview of their account as well as track all campaign results independently. Once you reach the $100 threshold, we’ll credit your PayPal account. To help you promote HootSuite to your audience, we’ve also pre-built HootSuite marketing banners with affiliate codes included in the code snippet. Add the handy campaign-specific links to your blogs, sites and social networks plus share through chat and (opt-in) emails to help gather new accounts. Ready to go? Visit hootsuite.com/affiliate to activate your account. Then, start sharing the good news… your account could pay for itself! Questions? We created instructional resources to answer common questions and help you learn more about the program. Visit the Help Desk for Affiliate FAQs plus visit the Community Help Forums to discuss tactics with other participants. 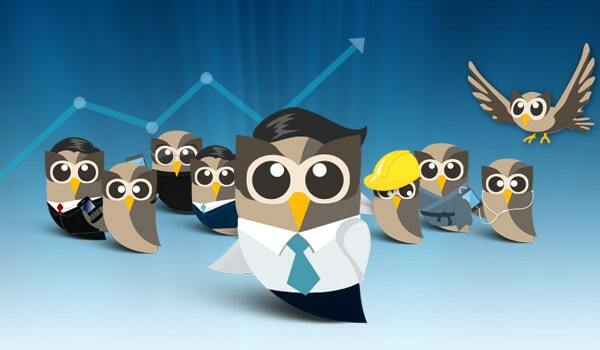 As an added bonus in this release, we’ve tuned-up the way HootSuite works with Facebook Pages. Now you can delete posts and comments from Facebook Pages you own right from the dashboard – but first you’ll need to re-authenticate your Facebook Pages. When you attempt to delete a comment from Facebook Pages, you’ll be presented with a re-import popup. 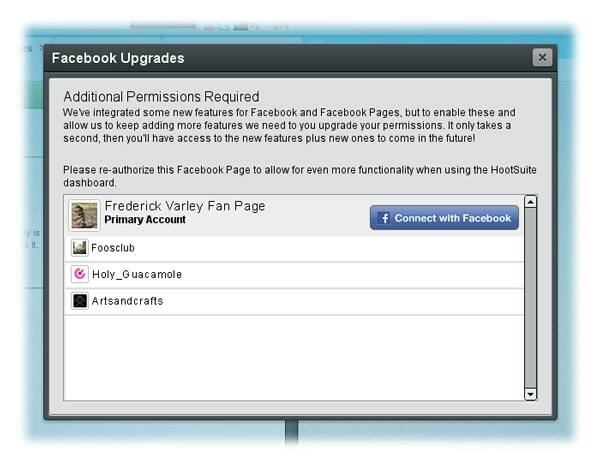 Simply follow the instructions to re-add each of your Facebook Pages and then enjoy the new tools. Not the owner of the Facebook Pages? Not to worry. You can send a message to the account owner to request the re-authentication. Feature requests for Facebook Pages are a popular topic in the Feedback Channel, with these changes, HootSuite can easily continue to increase functionality.